Launching this October is a rather special afternoon tea for families. Judith Kerr’s beloved children’s book The Tiger Who Came To Tea has been charming readers since 1968. Like many, I owned the book as a children and loved my parents reading it to me. From this week, The Savoy hotel has teamed up with publishers HarperCollins to create a unique children’s afternoon tea inspired by the classic book as it celebrates its 50th anniversary. This food and drink extravaganza will be the five-star hotel’s first dedicated children’s afternoon tea offering in its 129 year history. The variety of treats are drawn from the tea that Sophie and her mum shared with the visiting tiger. The Savoy’s pastry team have dreamed up an enchanting menu served on bespoke chinaware inspired by the book. The stunning china will also be available to buy from Savoy Tea. Peanut Butter & Jam Bites; Red Leicester Cheese Whirl; and Honey Roast Ham Finger Sandwiches. Freshly-baked stripy scones with clotted cream and strawberry jam. Sophie’s Tights (Blue and pink Battenberg), The Milkman Special (Vanilla yoghurt, raspberry compote), Mummy’s Cookie Crumbs (Dark chocolate cookie dipped in chocolate); Tiger Food (Cupcakes with cream cheese frosting); and Owp! (Handmade marzipan tiger). Accompanying the food will be a choice of hot or cold drink, including Vanilla Black Tea; Blackcurrant & Hibiscus Tea; Tiger Hot Chocolate (Served with cream and tiger stripes) or Orange juice. The Tiger Who Came To Tea menu will be available for children at the first two sittings of Afternoon Tea in The Savoy’s iconic Thames Foyer. Adults may prefer the Traditional Afternoon Tea, Champagne Afternoon Tea and High Tea, which will continue to be offered. The Savoy’s special edition The Tiger Who Came to Tea at The Savoy, Strand, Westminster, WC2R 0EZ. Nearest station: Embankment, Charing Cross or Temple. Available Mon-Fri afternoons for the first two sittings from 8 October 2018. Price: £40 per child (aged 5-12years). Dress code: Smart casual. For more information booking, visit The Savoy’s website. 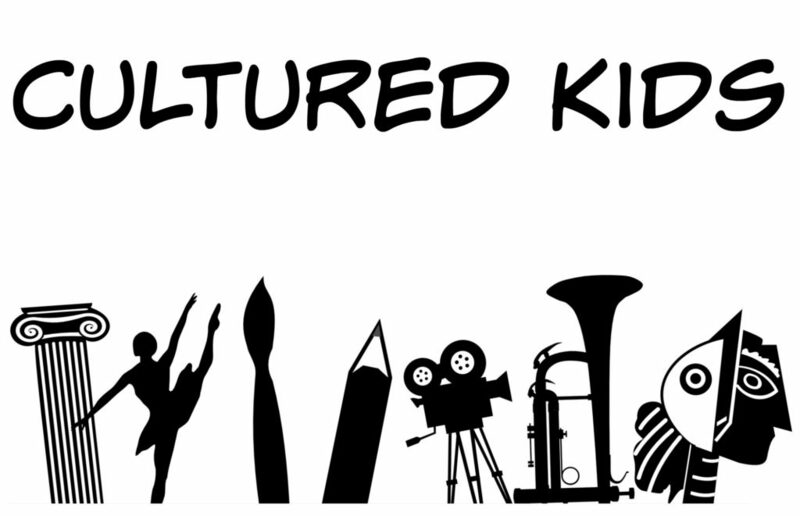 This post is taking part in #CulturedKids, sharing cultural blog posts aimed at children. Thanks to Catherine at Cultured Wednesdays for getting me involved. I’ve long recommended a boat trip down the River Thames as a ‘must do’ to friends and family visiting London from abroad. It’s a great place to get an overview of the capital and some of its most iconic landmarks. such as the Tower of London, the London Eye and Cleopatra’s Needle. Personally, I’ve been down the river many times over the years on the Thames Clippers, party boats or the tourist cruises. However, the one Thames experience missing from my personal history was a speedboat ride… until now. I had occasionally seen Thames Rockets on the Thames over the years as a pedestrian on dry land. Finally, last week, I got the chance to experience a trip on a Rocket myself. The company, which launched in 2006, offers six different experiences, ranging from a 15 minute ‘Thames Taster’ to the 80 minute Thames Barrier Explorers Voyage. I was on the Ultimate London Adventure, which aims to provide a “fun-filled adrenaline-fuelled 50 minute” journey. Ahead of my trip, I was intrigued how they would combine a sight-seeing tour and speed. Arriving 15 minutes before departure, I was greeted by the friendly Thames Rockets team, who fitted my lifejacket at the pier just by the London Eye. Next, we were given a safety briefing before climbing in. The Thames Rockets boats are speedboats with seats for about 12 people, each with a driver and guide abroad during your journey. I managed to get a coveted spot at the front of the boat, which was perfect for me as I was planning to photograph and video a lot of the journey. We were introduced to our driver Doug and our guide Bill and prepared to set off. When the sun comes out, most of us have the urge to head to a park, rooftop bar or… the beach. However, this can cause issues with the capital being a couple of dozen of miles from the nearest seaside. Fortunately, in the past few years, urban beaches have been cropping up around London. Some are patches of sand accompanied by water, while some have a full-blown beach club so you can close your eyes and imagine you’re on the French Riviera. However, if sand isn’t your thing and you just fancy a swim, you can always visit one of the city’s lidos or swimming ponds. The popular Neverland has had a summer makeover, featuring day beds, private beach huts and cabanas, two bars, Jimmy Garcia’s BBQ Club pop-up, live DJs, croquet, beer pong, shuffleboard and ping pong. They also host special events include bottomless brunches, yoga classes, fancy dress parties and sports screenings. Open Wed-Fri 6pm-11pm, Sat 12pm-11pm, Sun 12pm-9pm. Entrance starts from £5 (free to SW6 residents all days except Sat). Neverland, 364 Wandsworth Bridge Road, Fulham, SW6 2TY. Nearest station: Wandsworth Town. For more information, visit the Neverland Fulham website. Pop-up beach bar returns to the gardens of The Montague Hotel. Featuring real sand, beach hut, tropical cocktails, palm trees, BBQ and jet ski selfie area. Open Mon-Sun 12pm-10pm. Packages start from £50. The Montague Hotel, 15 Montague Street, Bloomsbury, WC1B 5BJ. Nearest station: Russell Square or Holborn. For more information, visit The Montague Hotel website. The popular mini beach returns to the South Bank opposite the skate park. The area is surrounded by food and drink vendors. Open 10am-10pm. Free entry. Southbank Centre Beach, South Bank, SE1. Nearest station: Waterloo. For more information, visit the Southbank Centre website. Pop-up beach returns featuring a huge beach of imported sand, water to paddle in, rides, entertainment and food and drink vendors. Open Fri 4pm-9pm. Sat-Sun: 12pm-9pm. Entry: £3. Brent Cross Shopping Centre, Hendon, NW4 3FP. Nearest station: Hendon Central or Brent Cross. For more information, visit The Beach Brent Cross website. Sandy beach by the River Thames underneath the Emirates Air Line cable car. Sit on a deckchair, watch your kids play in the sand or enjoy an ice cream. Open daily 10am-8pm. Free entry. Urban London Beach, 27 Western Gateway, Royal Victoria Docks, E16 1FA. Nearest station: Royal Victoria (DLR). For more information, visit the London’s Royal Docks website. If you’re not a fan of sand, perhaps you’d like to cool down in one of the capital’s alfresco swimming spaces instead. Brockwell Lido, Dulwich Road, Herne Hill, SE24 0PA. Nearest station: Herne Hill. Tooting Bec Lido, Tooting Bec Road, Tooting Bec, SW16 1RU. Nearest station: Streatham. Charlton Lido, Hornfair Park, Shooters Hill Road, SE18 4LX. Nearest station: Charlton. Serpentine Lido, Hyde Park, South Carriage Drive, W2 2UH. Nearest stations: Hyde Park Corner, South Kensington, Marble Arch. Parliament Hill Lido, Heath Lodge, Highgate, NW5 1NA. Nearest station: Gospel Oak. Hampstead Mixed Bathing Pond, Hampstead Way, Hampstead Heath, NW5 1QN. Nearest station: Hampstead Heath. Finchley Lido, Chaplin Square, Finchley, N12 0GL. Nearest station: West Finchley. Park Road Pools & Fitness, Park Road, Crouch End, N8 8JN. Nearest stations: Hornsey or Highgate. London Fields Lido, London Fields West Side, Hackney, E8 3EU. Nearest stations: London Fields or Hackney Central. Hampton Pool, High Street, Hampton, TW12 2ST. Nearest station: Hampton. For a guide to London’s pop-up and roaming cinemas this summer, click here. Find out where London’s nearest lavender fields are. It was only recently it was minus degrees and snowing so no doubt you may be shocked it’s approaching Easter already. With Easter Weekend bridging the end of March and beginning of April, we can only hope for some warm weather and sunshine. With schools on holiday for two weeks, parents everywhere will be looking for ways to entertain their little ones. Meanwhile, showing Easter isn’t just for kids, there’s an adults-only guide to offers and events at the bottom. Pick up some clue questions and search the market for the Easter Eggs, with the chance to win chocolate prizes or a box of farmers market eggs. 10am-2pm. Thomas’s Academy, New King’s Road, Parsons Green, SW6 4LY. Nearest station: Parsons Green or Putney Bridge. For more information, visit the London Farmers Markets website. Hunt for the Lindt gold chocolate bunny in the house and gardens at Hampton Court. Other family activities include a digital adventure around the palace, the magic garden and maze and workshops. Tickets (events inc with general admission): Adults from £19.20, Children from £9.60. Hampton Court Palace, East Molesey, Surrey, KT8 9AU. Nearest station: Hampton Court (36 minutes from Waterloo). For more information, visit the Historic Royal Palaces website. Take the kids to an Easter egg painting class. For ages 3 and up (parents required to supervise). 3.30pm. Tickets: £15 per child. Bluebird, 350 King’s Road, Chelsea, SW3 5UU. Nearest stations: Fulham Broadway, South Kensington or Sloane Square. For more information, visit the Bluebird website. A special egg hunt around St Katharine Docks, which celebrates its 190th anniversary this year. Families can pick up Easter egg colouring-in sheets and a ‘Hunt Pack’ that will consist of crayons and activity sheet as they search for eggs around the central basin. From 10.30am-4pm (closed Easter Sunday). Free. St Katharine Docks, 50 St Katharine’s Way, E1W 1LA. Nearest station: Tower Hill or Tower Gateway. For more information, visit the St Kats website. To find out about the history of St Kats, click here. Introduce your child to ballet with the English National Ballet and English National Ballet School production of this classic fairytale. Performance times vary. Tickets: £10-£25. Peacock Theatre, Portugal Street, Holborn, WC2A 2HT. Nearest station: Holborn or Temple. For more information and booking, visit the Sadler’s Wells website. BalletLORENT present their production of Rumpelstiltskin, follow a self-guided journey or enjoy a host of activities. Prices vary depending on event. Sadler’s Wells, Rosebery Avenue, Clerkenwell, EC1R 4TN. Nearest station: Angel. For booking, visit the Sadlers Wells website. Follow the clues to claim your chocolate reward in house and gardens of historic Kenwood House. 11am-3pm. Tickets: £1 per child. Kenwood House, Hampstead Lane, NW3 7JR. Nearest station: Hampstead or Highgate. For more information, visit the English Heritage website. Take part in a host of Easter-themed activities, including an Easter Egg search amongst the animals and a host of activities on Easter Bunny Day on 30 March. Open 10am-4.30pm. Visitors can purchase a £1.50 (including prize) quiz sheet upon entry and follow the trail. General admission: Adults £9.50, Children 2-15 yrs £7.50. Battersea Park Zoo, Battersea Park, Chelsea Embankment, Battersea, SW11 4NJ. Nearest station: Battersea Park. For more information, visit the Battersea Park Zoo website. It’s the spookiest time of the year. It’s not only the Americans that go crazy for the annual scarefest with a host of daytime and nighttime events on for both children and adult on in London. With Halloween falling on a Tuesday this year, we can expect to see ghoulish events kicking off a bit earlier. As half-term holidays are the week before, there’s plenty of Halloween-themed fun for kids in the lead up to the 31 October. Meanwhile, for party animals, there’s plenty of late-night revelry, or for a calmer alternative, there’s special meals and film screenings. Step aboard the Death Express, an old railway transporting the dead. Explore the history of London’s most gruesome residents and crimes. Tickets from £21 (timed entry). London Dungeon, County Hall, Westminster Bridge Road, SE1 7PB. Nearest station: Waterloo or Embankment. For more information and booking, visit the London Dungeon website. For Metro Girl’s review of the London Dungeon, click here. Newburgh Quarter will be hosting a fortnight of Halloween fun, including a Halloween florist selling posies and bouquets in spooky shades. Also including series of free workshops, including Halloween Headdress making, potion cocktail making, pumpkin planters and a Halloween make-up masterclasses. The Quarter of Curiosity Shop, 2 Newburgh Street, Soho, W1F 7RD. Nearest station: Piccadilly Circus or Oxford Circus. For more information, visit the Carnaby website. A week of fiendish fun at London Zoo including Halloween-themed activities, pumpkin carving, crafts and animal demonstrations. Open 10am-5pm. Activities are free with entry to zoo. Entrance tickets: Adults £24.50, Child £18.00 (cheaper online). London Zoo, Regent’s Park, Marylebone, NW1 4RY. Nearest station: Regent’s Park or Camden Town. For booking, visit the ZSL website. Learn the secret history of the engine houses, enjoy a ride on the ghost train, a trip through the creepy wood and Halloween craft activities. Tickets: adults £12.50, children £5.50. London Museum of Water & Steam, Kew Bridge Road, Brentford, TW8 0EF. Nearest station: Kew Bridge. For more information, visit the London Museum of Water & Steam website. Creepy family fun at the Medieval and Art Deco Eltham Palace. Including costume competitions and pumpkin carving. Book a time slot at 11am, 12pm, 1.30pm, 2.30pm and 3.30pm. Tickets: Adults £14.40, Children £8.60. Eltham Palace, Court Yard, Eltham, Greenwich, SE9 5QE. Nearest station: Eltham or Mottingham. For more information, visit English Heritage website. For Metro Girl’s review of Eltham Palace, click here. A spooky family day with spooky 18th century stories told by Polly Hewson and gruesome games for 5-11 year olds. 4-5pm. Free, but advanced booking recommend. Benjamin Franklin House, 36 Craven Street, Westminster, WC2N 5NG. Nearest stations: Charing Cross or Embankment. For more information, visit the Benjamin Franklin House website. Halloween fun and games in a Tudor manor, including a ghost hunt and spooky stories. Fancy dress encouraged. Halloween activities are free with normal entry. Tickets: Adults £6, Children £3. Sutton House, 2-4 Homerton High Street, Hackney, E9 6JQ. Nearest station: Homerton. For more information, visit the National Trust website. Children can enjoy pumpkin carving in the kitchen garden of Chiswick House. For 4-11 year olds. 10am-4pm. Tickets: £7 per child with accompanying adult (booking in advance recommended). Chiswick House, Chiswick, W4. Nearest station: Chiswick or Chiswick Park. For booking, visit the Chiswick House website. Foodies will love this afternoon tea with a spooky twist. Featuring black iced ghoul cupcakes, brownie coffins, blood orange tart and pumpkin sponge rolls. There will also be pumpkin carving classes in the café on Hallows Eve. Afternoon tea: £21.50pp (includes pot of tea or coffee). Bluebird, 350 King’s Road, Chelsea, SW3 5UU. Nearest stations: Fulham Broadway, South Kensington or Sloane Square. For more information, visit the Bluebird website. Open House London is a great opportunity for Londoners to have a look inside buildings normally off-limits to the public. While many parents will be looking forward to exploring the capital’s history and architecture, they may be wondering how to occupy the kids too during the weekend. Thankfully, Open City are making architecture accessible for young as well with the Open House Junior programme, which runs alongside Open House London. From 16 – 17 September 2017, a selection of free activities and trails will help to inspire a generation of little Londoners. Open House venues, including City Hall, Paddington Central and The Leadenhall Building will be hosting activities, where you can drop in with your children. Become an architect for the day! Plan, design and build a future London skyline from the heights of City Hall. City Hall, The Queen’s Walk, SE1 2AA. Nearest station: London Bridge. As part of the City of London’s Sculpture in the City programme, children can create a framed view of the city, inspired by the sculptures around The Leadenhall Building. Leadenhall Building, 122 Leadenhall St, City of London, EC3V 4AB. Nearest station: Aldgate, Liverpool Street or Bank. Paddington Central is joining the Open House Junior programme and inviting families to explore, design and create. Paddington Central Canalside (by the Westway), Paddington, W2 6PY. Nearest station: Paddington. Join this quick-paced race to build the biggest and best LEGO structure. Enter your creation into the competition and be in for chance to win exciting prizes. Paddington Central, Kingdom Square (outside 4 Kingdom Street), W2 6BD. Nearest station: Paddington. Be inspired by Paddington’s many bridges, and using an engineering toolkit, come along and add to the gigantic city of bridges in the striking Paddington Central amphitheatre. Paddington Canalside (outside Beany Green), W2. Nearest station: Paddington. Play. Make. Create! Paper forests, tinsel towers, and luminous lava fields. The Archivate Collective crew – a team of architects and designers – will be helping children make their city. Sheldon Square, Paddington, W2 6PY. Nearest station: Paddington. Open House Junior takes place during Open House London on 16 – 17 September 2017 from 11am-4pm (some times and age suitability may vary). Events are free. For children aged 5-11 and their families. For more information, visit the Open House London website. For Metro Girl’s tips and highlights of this year’s Open House London, click here. Fancy zorbing at St Katharine Docks? Summer is in full swing… Schools are closed, there’s weddings and festivals up and down the country. However for those staying in the capital, there’s plenty of alfresco – and indoor – fun to be had around town. Of course, the final Bank Holiday weekend of the year takes place from 26 – 28 August so London will be buzzing. The Camden Fringe returns for its 12th year, bringing over 270 productions of theatre, comedy and fringe fun to 22 venues across the borough of Camden, including Camden People’s Theatre, Camden Comedy Club, Canal Café Theatre and the Hen And Chickens. For more information and tickets, visit the Camden Fringe website. Try your hand at Zorbing with Hubbub. Time TBC. St Katharine Docks, 50 St. Katharine’s Way, Tower Bridge, E1W 1LA. Nearest station: Tower Hill or Tower Gateway (DLR). For more information visit the St Kats website. A lunchtime fete featuring stalls, games, photo fun, music and more. 12pm-2pm. Free. The Lawn, Paddington Basin, W2 1JS. Nearest station: Edgware Road or Paddington. For more information, visit the Merchant Square website. Food and drink wizards Bompas & Parr are creating an immersive forest experience for both adults and child. For children, the Forest Zorb Lagoon provides the chance to walk, tumble and jump on water, while both young and old can walk through the Fruit Cloud – a walk-in fruit-flavoured mist. Opening hours vary. Free to enter. Future Forest, Westfield Stratford City, Olympic Park, Montfichet Road, Stratford, E20 1EJ. Nearest station: Stratford. For more information, visit the Westfield website. Learn how to pass off store-bought bakes into looking homemade with a masterclass from ‘star faker’ Juliet Sear. The Food Network are hosting a pop-up ahead of their new show Bakers Vs Fakers where you can learn how to glam up your cake so it looks like you made it yourself. Classes at 11am-1pm, 2pm-4pm and 5.30pm-7pm. Free, but register for a place. Food at 52, 96 Central Street, EC1V 8AJ. Nearest station: Old Street. For a free ticket, visit Eventbrite. Forty-five breweries from London, the UK , Europe and USA will be showing off 100s of beers. Also including food stalls, live music and DJs from Hot Chip and Foals. Times vary. Tickets: £35-£42.50 (includes free glass and unlimited small pours). Shoreditch Electric Light Station, Hoxton Square, Shoreditch, N1 6HD. Nearest station: Old Street. For more information, visit the London Craft Beer Festival. The UK’s largest online video and YouTube event featuring Jack Maynard, Oli White, Emma Blackery, The Gabbie Show, Dodie, Nathan Zed and more. 11am-9pm. Tickets from £28. ExCel, Royal Victoria Dock, E16 1XL. Nearest station: Prince Regent (DLR). For tickets, visit the Summer In The City website. Get sporty with a range of activities, including yoga, bootcamp training, rock-climbing, tightrope walking, sack racing, or egg and spoon. 11am-4pm. Free. Granary Square, King’s Cross, N1C 4AA. Nearest station: King’s Cross St Pancras. For more information, visit the King’s Cross website. A free concert by the London Philharmonic Orchestra, including Vivaldi’s The Four Seasons. 7pm onwards. Free. Canada Square Park, Canary Wharf, E14 5AH. Nearest station: Canary Wharf. For more information, visit the Canary Wharf website. Up to hundreds of real ales, ciders, perries and foreign beers with be available to try, while there will also be plenty of entertainment and food. Tickets start from £11. Olympia, Hammersmith Road, Kensington, W14 8UX. Nearest station: Kensington Olympia. For more information and tickets, visit the Great British Beer Festival website. Watch God and Monster’s epic production of The Odyssey in three parts at this open-air free theatre. Wed-Sun 6pm-10pm (Pt 1 6pm, Pt 2 7.30pm and Pt 3 9pm). Free. The Scoop, Queen’s Walk, SE1 2DB. Nearest station: London Bridge. For more information, visit the London Bridge City website. Different styles of dances will battle it out to be crowned the crowd’s favourite. 12pm-2pm. Free entry. Fountains at the Paddington Basin, W2 1JS. Nearest station: Paddington. For more information, visit the Merchant Square website. Fans of the Espresso Martini will love this three-day festival, from Drink Up London (London Cocktail Week, London Beer Week, London Wine Week). Over 50 bars across London will be offering £5 Espresso Martinis and other Mr Black cocktails. Wristbands: £10. For more information, visit the DrinkUpLondon website. Watch the wettest obstacle race in the UK as participants swim, crawl, jump and slide through 35 obstacles over 10km. Money raised goes to Children with Cancer UK. ExCel, Royal Victoria Dock, E16 1XL. Nearest station: Prince Regent (DLR). For more information, visit the Rat Race website.